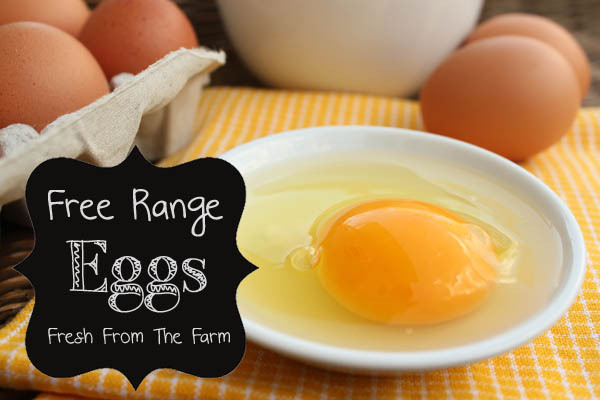 We’ve been given the opportunity to offer a limited number of fresh, pasture-raised eggs from one of our local farms! The Black Star chickens that laid these beautiful brown eggs are free to roam for most of the day, enjoying fresh air, sunshine, and eating bugs and greens from their pasture. Their diet is supplemented with grain. The yolks of the eggs we sampled from this farm were a rich, deep yellow, indicating a high-quality yoke that’s replete with vitamins A, D, E, and beta carotene. They were delicious, too! We have a limited quantity of these eggs available right now. If they are popular, we will try to continue offering them. The farm needs our order by Thursday morning, and they may sell out before then, so make sure you grab ’em now while you can! Click here to order. What’s So Great About Pastured Eggs? According to a study Mother Earth News conducted, comparing true pasture-raised eggs to conventional store-bought eggs (and even supposed “cage-free” eggs), pastured eggs are way more nutrient dense. Consider these stats. and 2 – 6 times as much vitamin D.
Fun Fact: Two scrambled pastured eggs provide about 63 to 126 percent of the recommended daily intake of 200 IU of vitamin D, whereas 2 supermarket eggs only give you up to 68 IU’s.